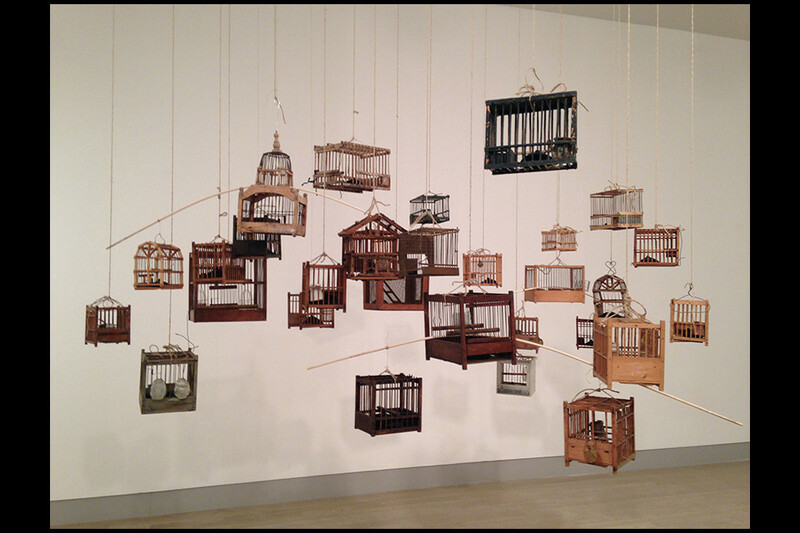 A collection of +-31 vintage coal miner’s canary cages. 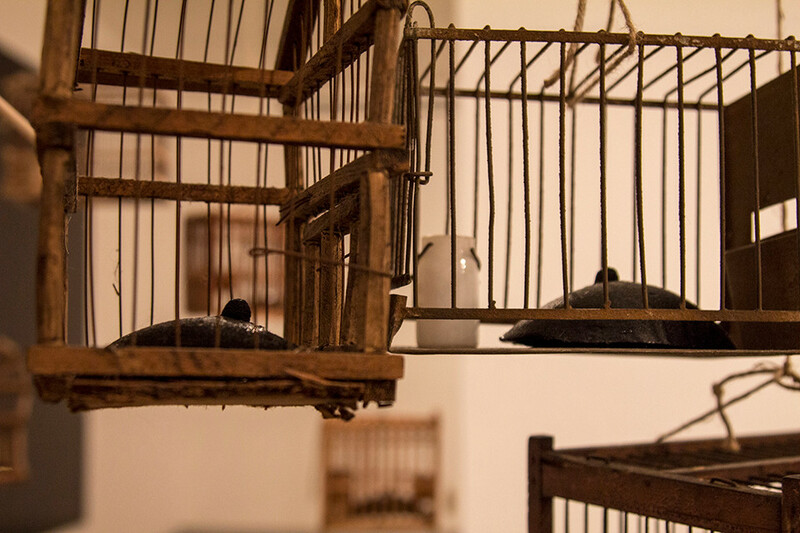 Inside the cages we find pet coke (a by-product of the petroleum refining process) molded into the form of human breasts. 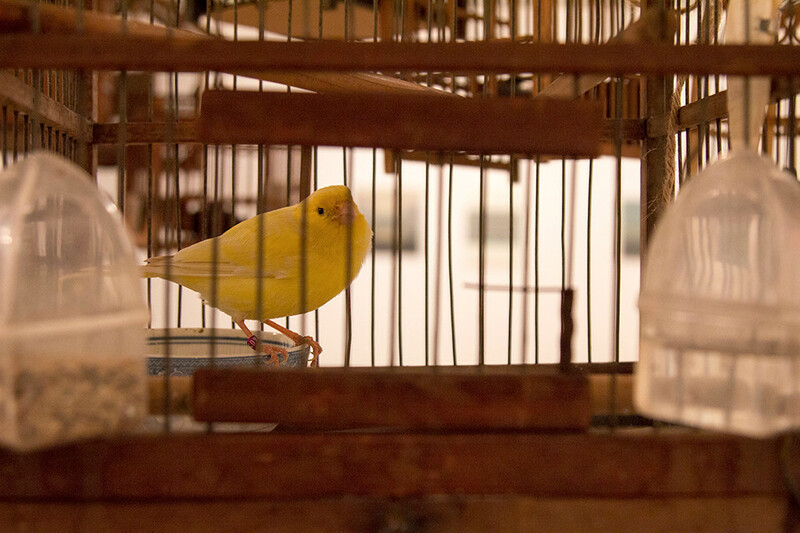 In one cage we find a live canary.